The US released two new videos of airstrikes on Taliban drug labs in Afghanistan. The US is quietly escalating the war in Afghanistan, and has released a number of similar videos of strikes on Taliban drug facilities and training compounds. But civilian casualties have also increased along with the strikes, and Afghan farmers say the drug labs only take three to four days to rebuild. The Air Force recently released two new videos of A-10 Warthogs taking out Taliban narcotics production facilities in Afghanistan, as the Trump administration continues to quietly ramp up the US’ nearly 17-year war in the country. The videos are rather shocking. 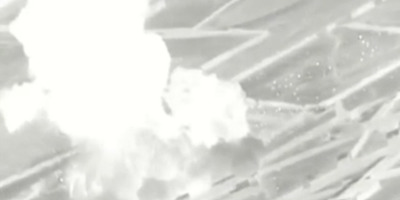 One shows several missile strikes that turned the black and white video nearly all-white for a few seconds before flames can be seen rolling up. “The Taliban have nowhere to hide,” Gen. John Nicholson, commander of Resolute Support in Afghanistan, said in February, after the Air Force dropped a record number of smart bombs from a B-52 on Taliban training facilities. But a BBC study published in late January showed that the Taliban operates in about 70% of Afghanistan, and fully controls about 4% of the country. The Taliban’s numbers have also reportedly grown three-fold in the last few years.In 2014, the Taliban’s forces were estimated to be about 20,000. Currently, they’re estimated to be at least 60,000-strong. The US announced in November 2017 that it would begin targeting the Taliban’s revenue sources, much of which is opium and heroin, with airstrikes. These casualties “could erode support for the Afghan government and potentially increase support for the insurgency,” the SIGAR report said. Around the same time that Nicholson announced that the US would hit the Taliban “where it hurts, in their narcotics financing,” Afghan farmers told Reuters that drug labs only take about three to four days to rebuild. On Tuesday, Defence Secretary James Mattis said that the US is seeing signs that the Taliban are interested in returning to the negotiating table with Kabul. “Mattis offered few details about the Taliban outreach and it was unclear whether the latest reconciliation prospects would prove any more fruitful than previous, frustrated attempts to move toward a negotiated end to America’s longest war,” Reuters reported.